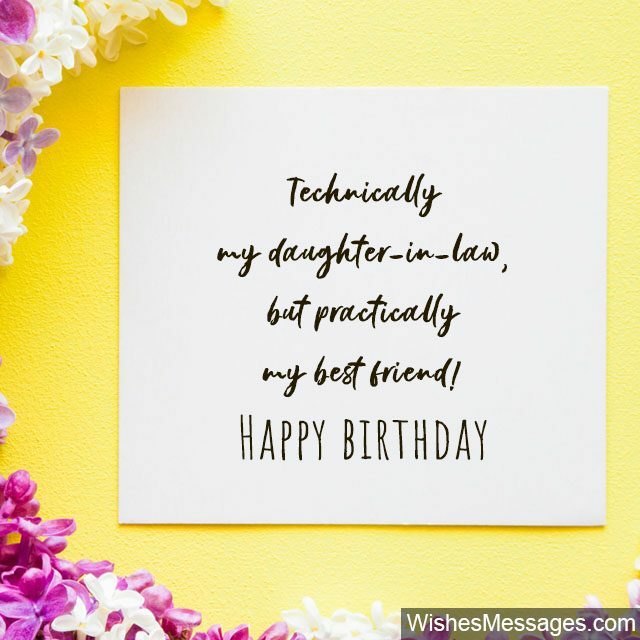 Birthday Wishes for Daughter-in-Law: Wishing your son’s wife on her birthday doesn’t need to be complicated. 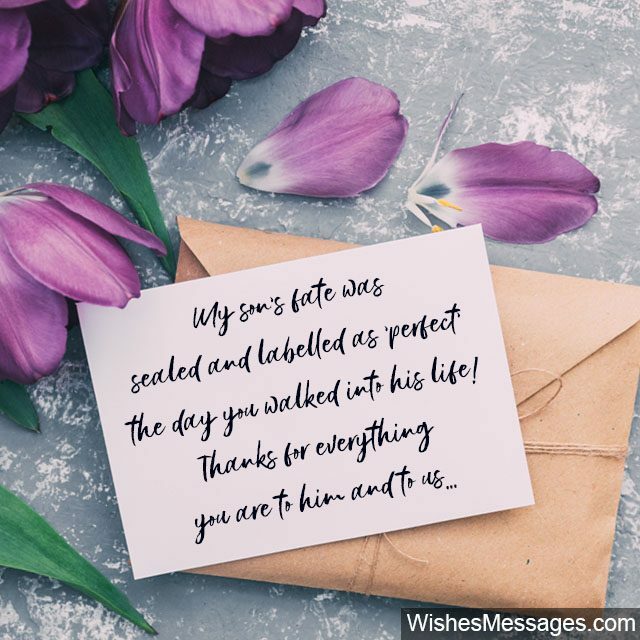 A beautiful quote on a card, a sweet post on her Facebook, cute messages straight into her DMs or even a handmade gift with a nice little greeting card… the options are endless. But if you’re still clueless on what to write, well stop being so and go through this post to bring out the loving mommy-in-law feels. And don’t take this lightly, birthdays are your chance to show how much you appreciate her being a part of the family! A nice gesture will go a long way in bringing the fam together and strengthening bonds for years to come. 1) No other way to say it, that it was a dream come true… when as a daughter-in-law, the family got you. A friendship unlike any other, from the very start… a bond that stems from the deepest, corner or my heart. Happy birthday! 2) The moment you stepped in, life became complete. Happy birthday! 3) My son always had a sweet tooth. I’m not surprised he chose someone as sweet as you! Happy birthday to our dearest daughter-in-law. 4) I wish I had not one son but two. I wouldn’t mind having another daughter-in-law if she was just like you. Happy birthday. 5) I’ve sacrificed it all, just so that my son could have a life he deserves. And I wouldn’t have it any other way, because everything led him to give his heart to you! Happy birthday. 6) Every mistake that my son has made in the journey his life, has been worth it because eventually he got you as his wife. Happy birthday. 7) I consider myself very lucky to experience the joys that come with having a son. Because, one of best things that come with a having a son is having a daughter-in-law like you. Happy birthday. 8) In you, I’ve got a friend and our son, a partner for life. Oh how lucky this family, is to have you as his wife! Happy birthday. 9) Ever since the moment you walked in, life’s been like a beautiful song. Where were you all this time… this family, is where you truly belong! Happy birthday! 10) My son gave his heart to you, and I’m glad he chose to! Happy birthday! 11) If you and I competed to see who can keep a mother-in-law happier, you would win hands down. Happy birthday and thank you for all that you’ve done for me! 12) Thank you, for being the child destiny never gave me… Happy birthday! 13) Happiness, is seeing my son happy… and one of the biggest reasons for that is you! Happy birthday. 14) I always thought that my son was incapable of making wise decisions in life, until the moment he decided to get married to you! Happy birthday. 15) Technically my daughter-in-law, but practically my best friend! Happy birthday. 16) After all these years I’ve learnt that angels exist… because I’ve found one in you! Happy birthday! 17) I have only one complaint for you – your love and pampering has made me so lazy that I hate it when you are not around. Happy birthday to the sweetest daughter-in-law in the world. 18) I believe in karma simply because all the good things I’ve done in my life led to the point of destiny giving me a daughter-in-law like you! Happy birthday dear. 19) I want to stop calling you daughter-in-law and start calling you daughter-in-love. That is because you are related to us more by love than just by law. Happy birthday. 20) Less of a daughter-in-law, more a friend. To how much we love you, there is no end. Happy birthday! 21) My son is a lucky person to have you as a wife, but we are luckier to have you as our daughter-in-law. Happy birthday! 22) My son’s fate was sealed and labelled as ‘perfect’ the day you walked into his life! Thanks for everything you are to him and to us. Happy birthday. 23) I was always worried about the choices my son would make in his life. But after he got married to you, he proved that he is capable of making the best choices in his life. Happy birthday sweetheart! 24) I’m guilty!! Yes, I’m guilty of boasting to the whole world what a fab daughter-in-law I’ve got!! Happy birthday!! 25) We have loved being proud parents to our son. We have loved being proud grandparents to our grandchildren. But we have been the proudest parents-in-law to a daughter-in-law like you. Happy birthday. 26) My son feels jealous because all my attention and love is now directed towards you. But what can I do, it is his fault that he got me such a caring and lovely daughter-in-law. Happy birthday. 27) If you weren’t my daughter-in-law, you’d be my BFF for sure! Happy birthday bestie! 28) Life partners like you, are like rare pearls that are discovered only by a lucky few. 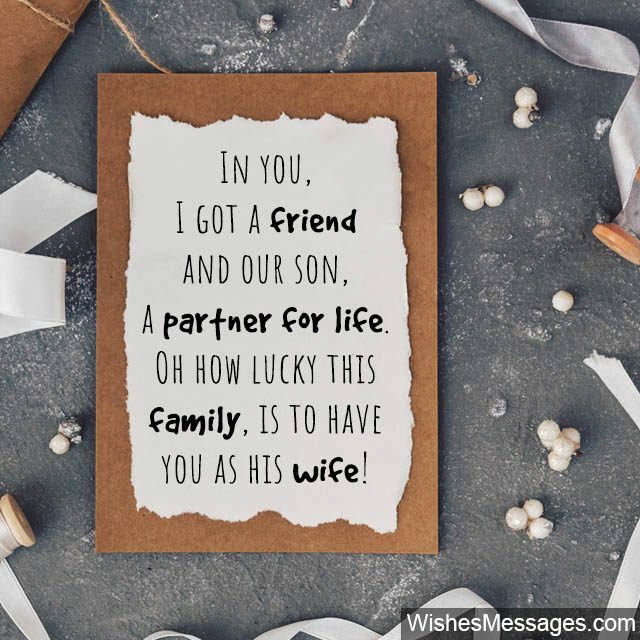 I’m glad you and my son chose each other! Happy birthday to the world’s best daughter-in-law! 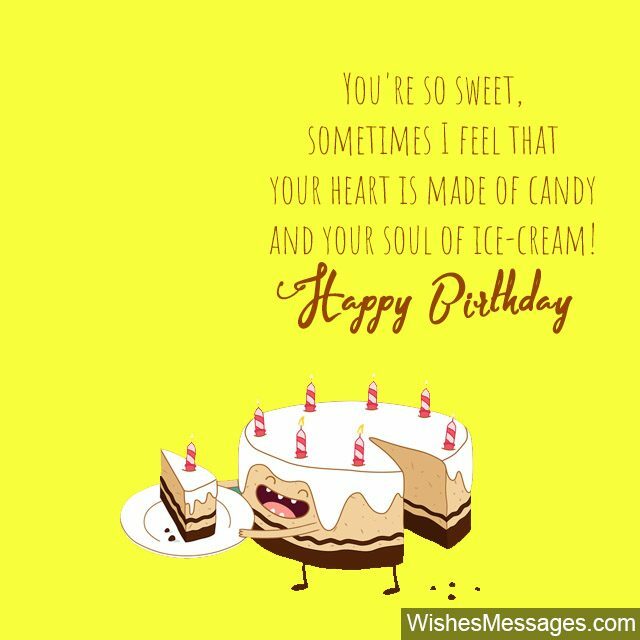 29) You’re so sweet, sometimes I feel your heart is made of candy and soul of ice-cream! Happy birthday! 30) The family gravitates towards you like a moth to a flame. Thank you for being life of all gatherings and the glue that keeps everyone together. Happy birthday! 31) A happy family, is about having a daughter-in-law like you! Happy birthday. 32) Words aren’t enough to thank you, for how you’ve always been there. Everything you’ve done so far, shows how much you truly care. Happy birthday, to the world’s best daughter-in-law! 33) You didn’t become my daughter-in-law because my son loved you and married you. 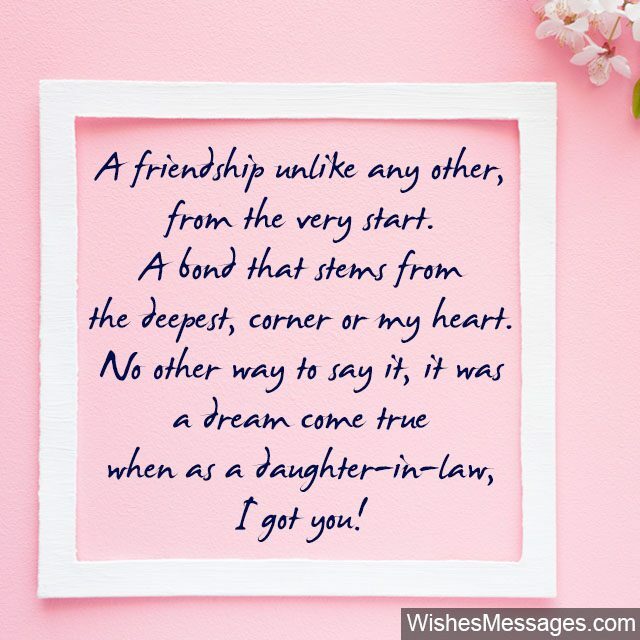 You became my daughter-in-law because God finally heard my prayers and realized that I needed a best friend. Happy birthday. 34) I always told my son that your future will be shaped by the woman you marry. Now I know for sure that he is going to have a fantastic future. Happy birthday to my loving daughter-in-law. 35) I always handpicked gifts for my son for every special occasion in his life. But he has beaten my track record by hand picking the most beautiful gift that he could ever give me – my daughter-in-law. Happy birthday. 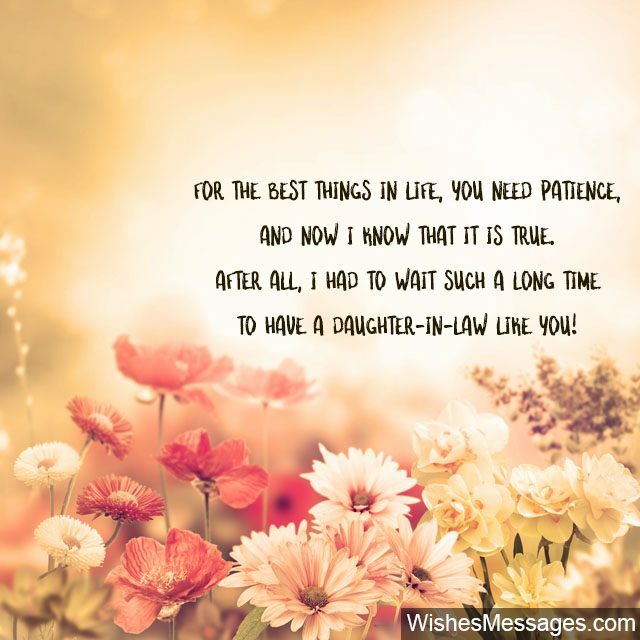 36) For the best things in life, you need patience, and now I know that it is true. After all, I had to wait such a long time to have a daughter-in-law like you. Happy birthday! 37) The day you married my son, I realized that the Queen of his life had to make way for the Princess… and rightly so. Thank you for being perfect in every way! Happy birthday. 38) Here’s a toast, to the woman who came into our lives as a daughter-in-law and remains as the daughter we never had. Happy birthday! 39) Never in my wildest dreams did I think that my best friend would be someone chosen by my son. Thanks for being everything that you are, Happy Birthday! 40) My son tells me that you and I are the two amazing women in his life. The moment you’ve stepped into our lives we’ve felt blessed. Happy birthday!